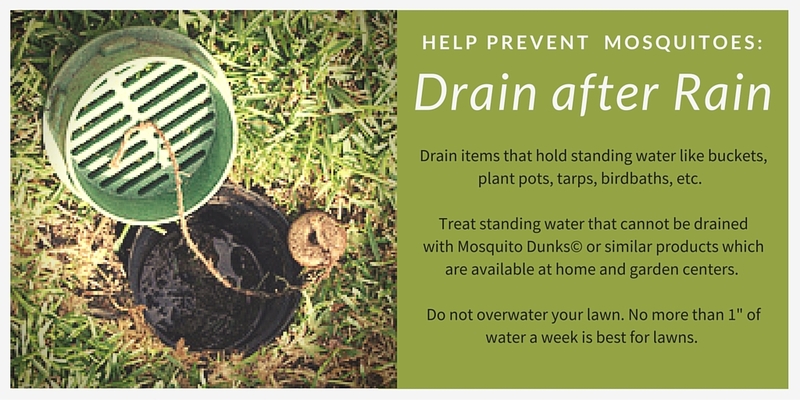 To reduce mosquitoes after the recent rains, The Woodlands Township Environmental Services Department encourages residents to check their yards for standing water and to empty containers to reduce mosquito breeding sites. Standing water is an open invitation for female mosquitoes to lay eggs. Drain after rain is a simple, yet critical means for homeowners to reduce mosquito populations and mosquito-borne disease. Irrigation systems should remain off for at least seven days following heavy rains. Runoff from overwatering remains a major factor in the proliferation of mosquitoes in the community. Irrigation systems that do not have an operating rain sensor should be turned to manual control so the landscape is watered only when needed. When mosquitoes become a problem, the Township reminds residents to think WET: Wear repellent; Eliminate breeding sites; Treat where you cannot drain. For more information about repellents, mosquito abatement or to report mosquito concerns in The Woodlands, please visit the Township’s Mosquito Control webpage or call The Woodlands Township’s Environmental Services Department at 281-210-3800.